We still have a few openings in all divisions - We have extended the registration deadline - Register before we close Player Registration. 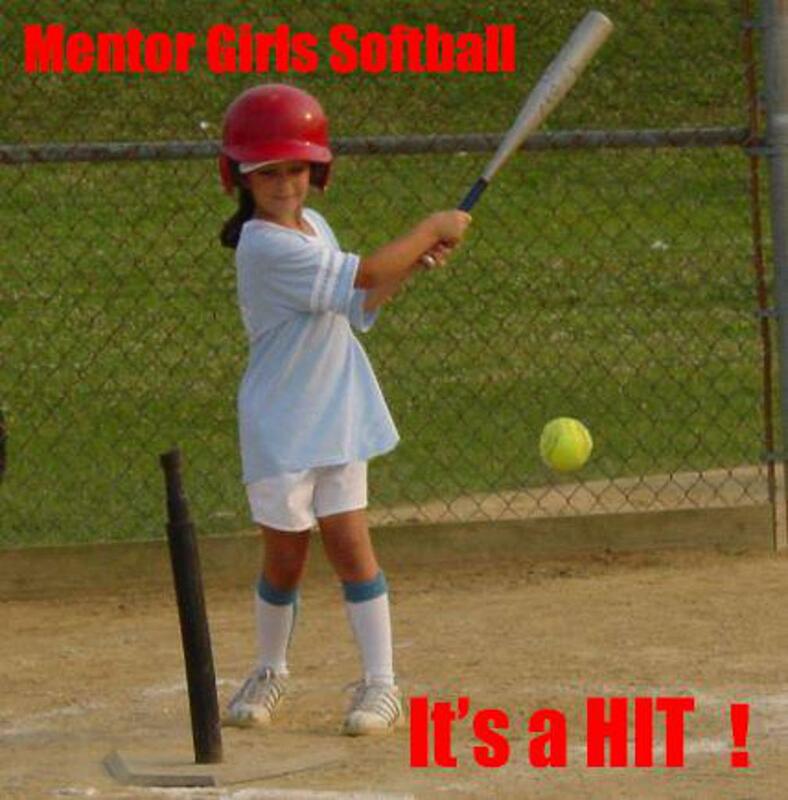 Softball Players & Parents, we welcome you to a fun-filled summer of softball with the Mentor Girls Softball League! Click on one of the links below to register for this year's softball season. A player's age is determined by their age on August 31, 2019. Practices start the first week of May and Opening Day games will be on June 1st & 2nd. We look forward to seeing you on the field ! Slowpitch Softball Family Discount cost is only $175 (3 players or more & includes T-Ball) - must register all Slowpitch players at once. Due to the growing popularity of Fastpitch, we will not be able to provide a high school aged (ages 14-18) Slowpitch Division. Please join us in one of the age appropriate Fastpitch Divisions for a summer of fun ! Mentor Girls Softball League will be sponsoring the City of Mentor's Movie Night on Thursday, June 20th at the Mentor Civic Amphitheater. We will be showing the movie "A League of Their Own" starring Tom Hanks & Geena Davis. Details coming soon ! Mentor Girls Softball League will be Celebrating 40 Years of Operations in the 2019 Season. We'll have a couple of surprises to help celebrate this occasion ;) besides the new website and being able to do online player registration. We Need Your Help for the 2019 Season ! The Mentor Girls Softball League would like your support in providing an organized Softball program for our youth in the Mentor area. We provide softball instructions and guidance starting at 4 years of age. The League is open to the public and we expect to have 70 teams participating in the 2019 Season. Big Red Blast is Back for 2019 ! The Big Red Teams & Mentor Girls Softball League will be hosting our 6th Annual Fastpitch Travel Tournament for 10U, 12U and 14U divisions. It will be happening on July 12-14 (Friday through Sunday) at Garfield Park. Look here when the Season Starts for the latest on Today's Games, the field conditions and the weather. The playing status of the fields will be updated by 4:00 PM on game days. Our practice season starts May 1st . Your Team Manager will be emailing you right after their Manager's Meeting on either April 27 or 28. They will introduce themselves to you and let you know when you will be practicing. Welcome to our new website. We will be building up our new website up over the next couple of months as we transfer content from our old site and begin our 2019 Season. Besides the new website, we will do Player Registration online this year. You'll be able to signup on a Desktop PC or Mac, any Tablet or just using your Smartphone and be able to pay by debit or credit card. Mentor Girls Softball League (M.G.S.L.) is open to all who are interested in participating in an organized summer softball program. It is the goal of Mentor Girls Softball League to teach softball, team spirit and more importantly, good sportsmanship. Sports play a vital role as an Educational, Social and Recreational outlet in our society. We WELCOME all of our families to the 2019 Season! ©2019 Mentor Girls Softball League / SportsEngine. All Rights Reserved.